These have the same diameter as the Walbro GSS line, but the lower portion is 1.98-2.00" diameter. 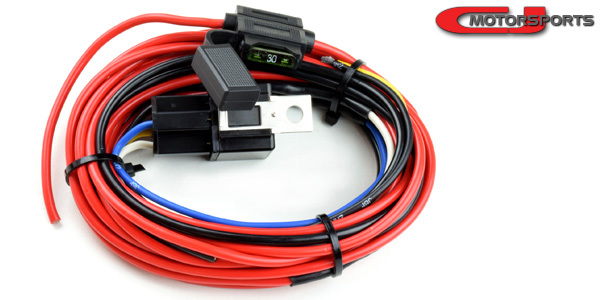 There is a unique connector attached to the wires, and we stock an optional pigtail harness which plugs in here and includes an additional 6" of wires. 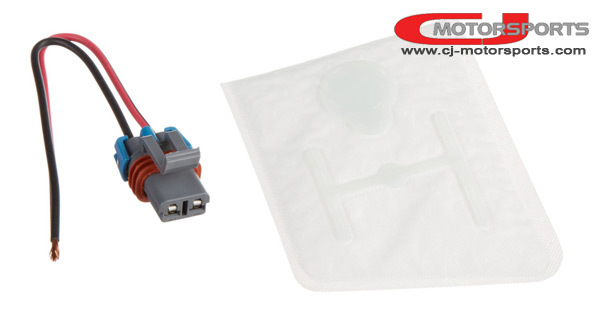 For many installations we cut off the connector and extend the wires to save space. We offer an optional centered pump strainer that we find to be a good fit for most applications. We specifically use these with 350z and 370z installations. To make use of the connector pre-installed to every Walbro 450, these pigtails are required. The other option is to cut the connector off, but the wires on the pump are pretty short as is, so extending might be required without the pigtail.